The Forestry Commission of Ghana has assured the public of its determination to protect and preserve the ecology of the country’s forest reserves. The Chief Executive Officer of the Commission, Samuel Afari, revealed that the area of concentration of the commission in the Ashanti Region will be a total collaboration with inhabitants of mining settlements to help restore degraded lands, especially within the Amansie West District and other places where illegal mining is pronounced. 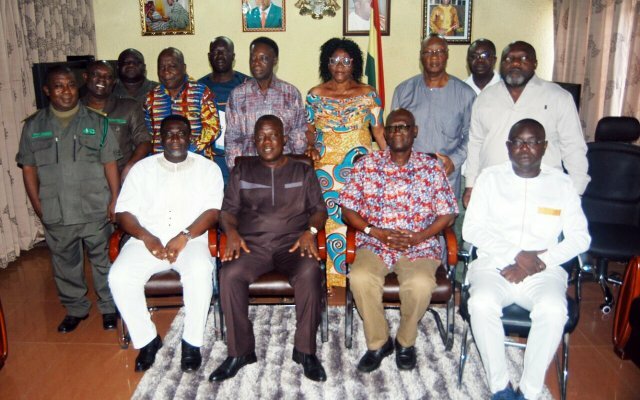 He revealed this during a speech when the board of directors of the Forestry Commission paid a courtesy call on the Ashanti Regional Minister, John Alexander Kwabena Ackon, in Kumasi on Thursday May 5. The board also conferred with the minister on how to relocate the Kumasi Zoological Gardens to a suitable location. On his part, Mr Ackon promised to assist the commission to implement what he described as a “laudable vision”. He further indicated that galamsey operations had resulted in by devastating environmental and health consequences, hence the resolve by government to combat the practice.